1. Wet hair thoroughly with warm water. 2. Dispense a dime-size amount of Zenagen Evolve Treatment and massage into scalp and hair. 3. Leave treatment on hair and scalp for five (5) FULL minutes. Oleic Acid-Rich Emu Oil: This ultra-hydrating, deeply penetrating tissue nutrient is a natural anti-inflammatory shown to promote healthy hair and skin. Did you know Zenagen Evolve can help with post pregrancy shedding? 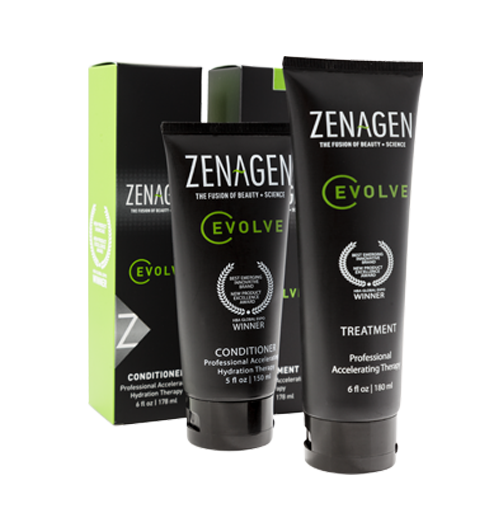 Click to find out more about Zenagen Evolve and Post Baby Shedding.